To save on utility bills and service calls and keep your family safe and comfortable, we urge you to take a preventive approach to heating and cooling. Why Sign up for a Maintenance Plan? 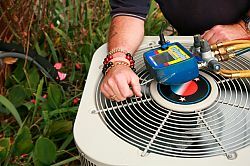 If you keep your heating and air conditioning equipment in good repair (that means having preventive maintenance done on a regular schedule) the equipment will give you many years of safe, reliable comfort. This will also save you money in the long run. Your heating and cooling system will work better, last longer and operate more efficiently. You’ll save money on your utility costs and you’ll promote a safer environment for your family. In fact, the cost of one emergency service can exceed the cost of a Maintenance Plan. Sign up for a maintenance plan today!